First Graders Make Their Characters Come to Life! And…..Action! 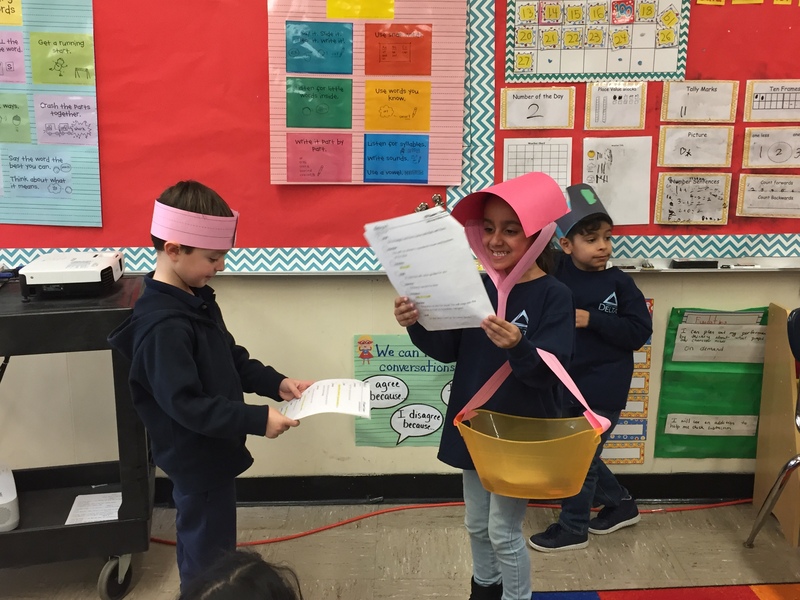 As a culminating activity for our characters unit, the first graders performed reader’s theater plays! The students broke up into groups and rehearsed their plays. They thought about how their character should sound, look, and act depending on what was happening in the story. The groups also worked together to create props to enhance their performance. We performed Little Red Riding Hood, The Billy Goats Gruff, Lemonade Stand, What Day Is It?, and Froggy Bakes a Cake. Previous Entry:First Grade Celebrates the 100th Day! Next Entry:Pre-K begins their journey with the New-York Historical Society!